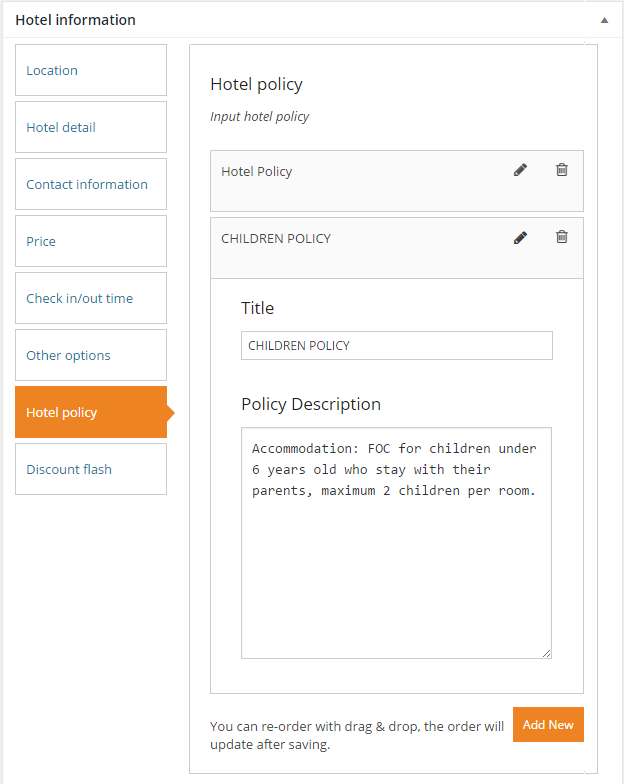 Allows input policy for your hotel. Use ST Hotel Policy in single hotel layout to display this element. Discount Flash: allows custom the word displayed on the discount hotels.